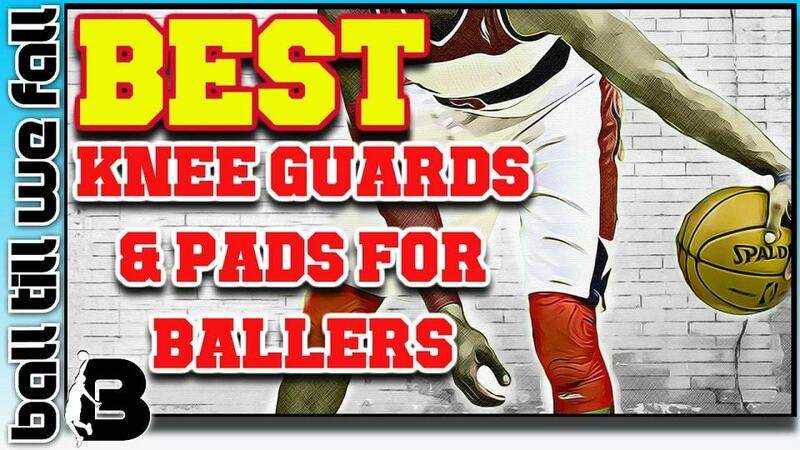 Top 5 Best Basketball Knee Pads, Sleeves and Braces 2018! FOR EVERY BUDGET! If you have watched any professional basketball game lately you would have noticed that almost every player is wearing some type of knee gear. Basketball knee sleeves, pads and braces have become increasingly popular over the past decade. Protective basketball knee wear can help to reduce the likelihood of knee injuries plus improve on court performance. 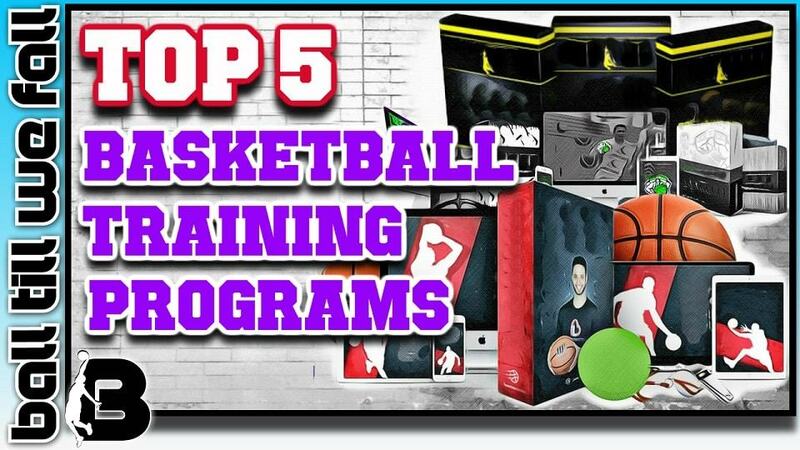 From an initial pool of over 25 basketball knee pads, sleeves and braces we have narrowed our list down to what we consider to be the 5 best products. The featured basketball knee gear you are about to see have all demonstrated very positive user feedback. Earning Disclaimer: This post contains affiliate links, which means the team at BallTillWeFall.com earns a small commission if you decide to purchase products through these links. The price is the same for you though. In some cases you may even receive a discount. Your support is very much appreciated. Keep Ballin'. The ﻿﻿McDavid Hex Knee Pad Sleeve is a popular choice among pro basketball players thanks to it's premium offering of comfort, performance and support. The Shock Doctor Brace included duel hinges and cutting edge moisture wicking technology. This brace ticks all the boxes. it is comfortable, durable and lightweight. The McDavid Hex short Knee pad covers entire knee joint. Hex pad design provides full mobility while preventing knee impact and collision injuries on the court. The Nike Pro Combat Knee Sleeve is the choice of pro athletes. They come in a huge range of colorful and innovative designs. The premium compression technology is a real game changer. The Shock Doctor Compression Knee Sleeve offers excellent comfort and protection at a very affordable price. The lockdown support and ventilation rivals that of much more expensive knee sleeves. Why Should You Consider wearing Basketball Knee Sleeves,Pads or Braces? If you have read our guide on how to ﻿﻿﻿﻿strengthen knees for basketball you would know just how important it is to keep you knees healthy for basketball. Strengthening you knees provides muscular reinforcement that can help make you less prone to sustaining a knee injury while playing ball. The basketball knee sleeves, pads and braces that you are about to see offer athletes further external knee reinforcement that also has many performance and recovery benefits. Almost every NBA player is now wearing knee guards of some variety. Imagine if you were getting paid millions of dollars per season to play basketball... You would do everything you could to ensure you can stay injury free wouldn't you? NBA players look at protective equipment such basketball knee guards and ﻿﻿﻿﻿﻿ankle﻿ b﻿﻿﻿﻿races etc, as an investment into their future on-court performance. Even if you are not a professional it is still very worthwhile to invest in your knee health so that you can keep ballin' for many more years to come. These Camo knee sleeves are the perfect choice if you want to stand out on the court. These bad boys come with a lifetime guarantee! The type of knee wear you choose to wear while playing basketball will be determined by the specific outcomes you would like to achieve. Take a look at the 3 most common styles of basketball knee guards to see which style is best suited for your individual needs. If you have read our Why Do Basketball Players Wear Arm Sleeves post you would have noticed that sleeves can provide many performance and recovery benefits for basketball players. Improved Proprioception : Wearing a knee sleeve provides tactile feedback to your brain from sensory nerves around the knee. Some players find it beneficial to have a better idea of wear the body is in space. Improved Blood Flow: Light compression applied above and below the knee improves circulation which promotes faster recovery. Knee sleeves are great for the performance and recovery benefits however offer little protection from injury or stability for rehabilitation purposes. If you are recovering from an ACL knee injury you would be better off choosing a basketball knee brace. Most basketball knee pads offer the benefits of knee sleeves plus offer extra protection against direct impact from contact and collision. Basketball knee pads give us players confidence to play lockdown defense, drive to the hoop and dive on the loose ball without worrying about suffering contact knee injuries. Most NBA players wear basketball knee pads. Our pick of the best knee pads on the market are the McDavid Full Length Knee Pads. It is very important to choose the correct size knee wear in order to get the most comfortable fit and optimal protection. If you decide to purchase any products through the links on this page you will notice that the manufacturers have provided an easy to follow size guide. Searching all over the internet for the best basketball knee protection can be very time consuming. We’ve saved you the time and energy by doing all of the investigative work for you. Now all you have to do is read our easy to follow short list below and make your decision on which pair of basketball knee guards are right for you. This popular Shock Doctor knee brace is perfect for basketball players who are recovering from a knee injury and want to reduce the risk of re-injury. This premium knee brace offers duel hinges for maximal support. The anchors prevent hypertension and over extension. The straps provide excellent lock down. Overall this Shock Doctor brace is one of the most comfortable knee braces you will find. It is very well ventilated and the moisture wicking technology keeps it dry while playing. They have even included some antibacterial properties to reduce nasty odors which are a common problem with most knee braces. Some users report that these knee braces must be correctly sized to ensure the perfect fit. Here is a helpful video showing you how to get the correct sizing for you. The full length basketball knee pad has become the most popular style of knee wear for ballers over the past few years. Most NBA players realize the value in wearing a protective pad. These pads reduce the amount of time spent off the court due to annoying knee on knee or knee on floor contact injuries. Plus they also look pretty cool. The McDavid pads are made from the highest quality technology and materials. Unlike the imitation products you can get on ebay these are the real deal and stay in position for the entire game. With the full length pad and sleeve you also get the added compression recovery and performance benefits. You can also wear these down on your shins if you wish. Some users report that they are not very durable. May tear when sliding on basketball court resulting in the exposure of the hex padding. These Nike knee sleeves are super comfy and offer premium lightweight compression around the knee joint. These sleeves offer some nice proprioceptive feedback but little support. If you are looking for a lightweight sleeve that keeps your knee joint warm then this is a great choice for you. There is also a huge range of colors to choose from. 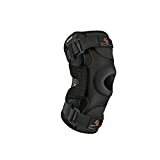 This Shock Doctor basketball knee guard offers a nice combination of comfort and protection at an excellent price point. The guard has all of the usual innovative design and technology that we expect to see from Shock Doctor. We hope you have found our comparison and reviews of what we consider to be the best basketball knee protection wear currently available online helpful in empowering you to make an informed decision upon purchase. Hopefully you now have better idea of the differences in the features and benefits that the most popular knee wear have to offer. As you can see, these quality basketball knee sleeves,pads and braces offer a range of different features and benefits. If you are recovering from a knee injury a brace such as the Shock Doctor 875 may be the best choice for you as it offers premium stabilization and support. If you are like most pro balers and just want to prevent niggling knee bruises and bumps I recommended picking up a pair of the McDavid 6446 Hex Pads. These knee pads can help boost confidence on the court and allow you to attack the rim like Russell Westbrook without fear of contact. If you want to check out more great basketball gear be sure to check out our huge list of the very best basketball equipment to purchase online. Be sure to check back to this page in the future as we regularly update the post with the latest and greatest basketball knee braces, sleeves and pads on the market.